When upfront subsidy for buying affordable homes is combined with tax exemption on profits made by developers on these units, the result is a spurt in supply as well as sales of low-priced houses. Unsurprisingly, affordable housing has been the only silver lining for the real estate sector, which was battered and bruised until the government announced pre-election sops beginning February this year. One in every two houses sold in the December quarter was under the Rs 50-lakh tag. "Sales, especially in the affordable segment, have improved largely because of incentives provided by the government," says Pankaj Kapoor, founder and MD at real estate consultancy Liases Foras. The government announced its ambitious target of 'Housing for All by 2022' along with attractive measures that pushed first-time homebuyers to make a move. Under the PM Awas Yojna (PMAY), households with an annual income of up to Rs 18 lakh are being given Rs 2.3 lakh upfront subsidy for a home. Buyers are also eligible for income tax exemption on housing loans. 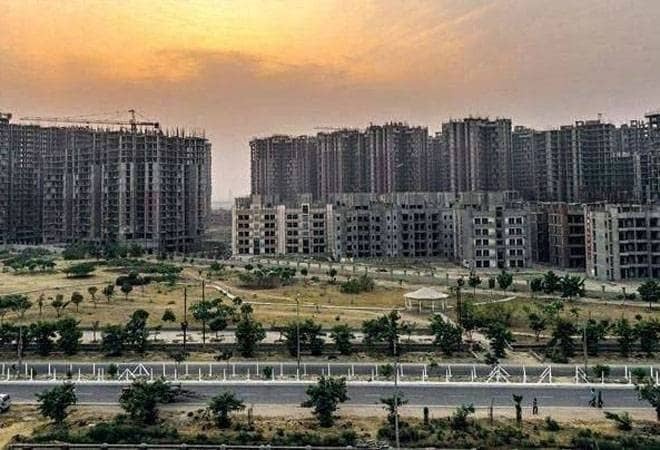 Developers too get 100 per cent deduction for profits in affordable housing projects registered by March 2020. Rahul Prithiani, director, CRISIL Research, says projects with smaller unit sizes are gaining traction, thanks to affordable housing impetus. "For ticket sizes above Rs one crore, share of units launched in the last two years has come down to 10-15 per cent as compared to 30-35 per cent in units launched before CY2017," he says. As a result, capital values in the residential segment have been under pressure of late - with a decline of 5 to 20 per cent across micro markets in the last two to three years. The government implemented RERA or Real Estate (Regulation and Development) Act in 2017. It changed the fortunes of the sector. On one hand, it boosted consumer confidence and ensured timely completion of projects, on the other, it adversely affected developers on the financial front. As per RERA, 70 per cent of a project's fund requirements are now put in an escrow account. This means a developer cannot divert funds from one project to another. In a market where the liquidity situation has worsened following the NBFC (non-banking finance company) crisis, tying up funds to a project has only meant lesser financial flexibility. "On account of existing unsold inventory and limited funding options through HFCs (housing finance companies) and NBFCs, especially post IL&FS (Infrastructure Leasing and Financial Services) default, the leveraged developers are facing challenges with respect to refinance and completion of existing projects," says Prithiani. Dr Niranjan Hiranandani, National President of industry body NAREDCO, says the past few years have seen positive steps such as transparency and accountability as a result of RERA, doing away with benami transactions and granting infrastructure status to affordable housing. "The problem was that these reforms were implemented in quick succession and resulted in what I term as 'tsunamis', which impacted the economy in general and real estate in particular," he says. The implementation of GST (goods and services tax) also shook the sector with a rate of 12 per cent on under-construction properties driving down their sales. Buyers preferred homes with an occupancy certificate, which did not attract GST. Finally, in March, the government decided to offer reduced GST rates of 1 per cent on affordable homes and 5 per cent on premium homes albeit without input tax credit. Now, the scenario is returning to what Hiranandani euphemistically refers to as "normalcy - albeit with a changed paradigm". The new government, he says, must improvise the ease of doing business to include time-bound environment clearances and coastal zone clearances. "The credit squeeze post IL&FS crisis had a negative impact on real estate. It should be remedied. We hope to see it being addressed by the new government," says Hiranandani. "Similarly, the entire real estate and construction sector must be granted industry status to ensure low interest credit for projects," he adds. Kapoor says besides finance cost, land costs should also be rationalised as it determines the costing as well as the viability of the project. "Land cost rationalisation is essential to make the sector more efficient," he adds.